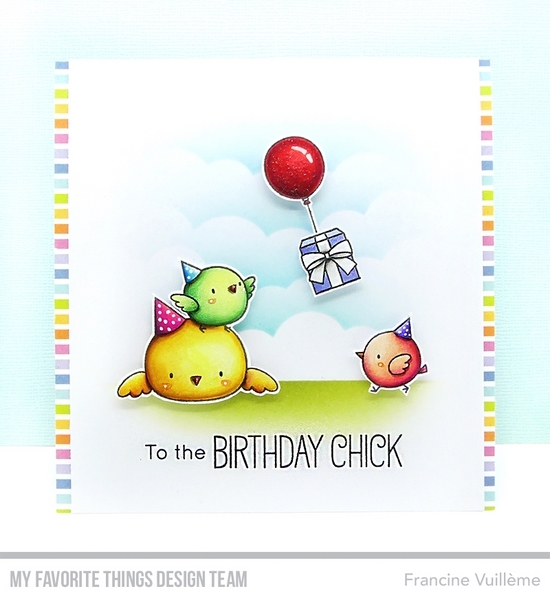 The sweet birds as well as the balloon and the sentiment are from the fabulous Birdie Brown Birthday Chicks stamp set. The gift is from the Birdie Brown Secret Santa set. The patterned paper I used on the edges is from the Party Patterns paper pack. I used the Mini Cloud Edges stencil for the sky. 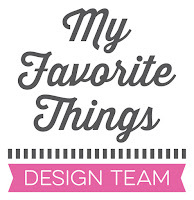 Beautiful coloring and I love how you clustered the images! Love the pastel striped border, too...such a cute birthday card, Francine!